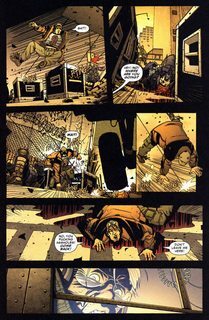 DMZ #1 – 72 + TPB Vol. 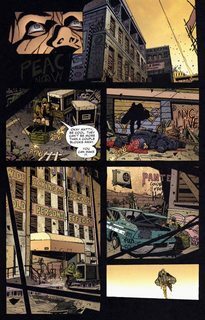 1 – 12 + Deluxe Books (2006-2012) : Follow the adventures of Matty Roth as he desperately tries to escape a war-torn New York City. Will he get the scoop or will he get killed? America is in the midst of a second civil war. Manhattan island has become the demilitarized zone between the Free States of America and the United States of America. 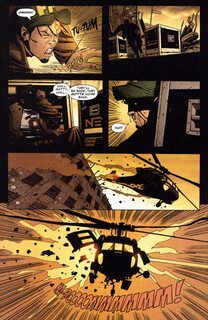 In a series of single and multi-issue volumes we are introduced to fledgling journalist Matty Roth and the host of characters he interacts with during his stay in the DMZ. Roth is the glue that holds the narrative together but we learn the stories and perspectives of many who live in the shattered city. Behind them all is the conflict between the FSA, USA, and other factions as the country attempts to end the civil war.